array of wildlife is found here in this peaceful and safe part of the country, where we’ll visit a number of national parks, wildlife refuges and biological reserves, affording a chance to appreciate the work that Hondurans have made to protect their natural spaces and to delight in their wildlife. Learn more. 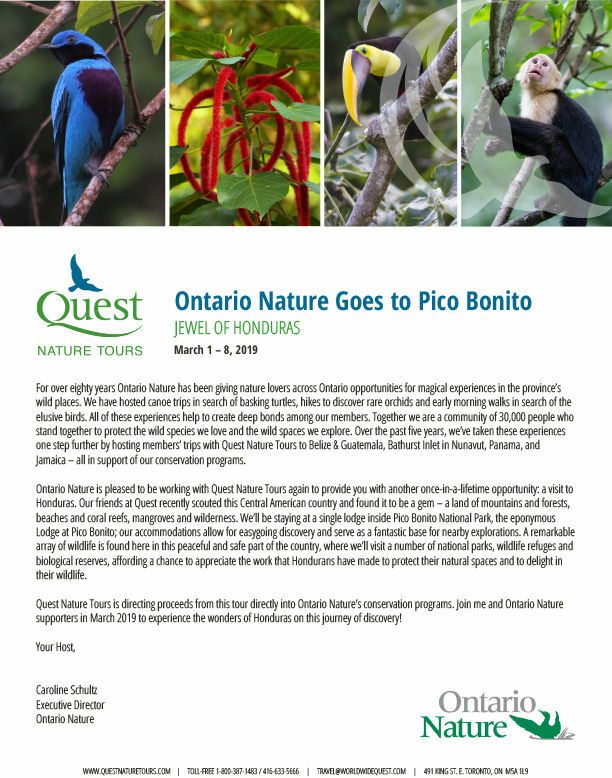 Quest Nature Tours is directing proceeds from this tour directly into Ontario Nature’s conservation programs.